One of the things I love most about Christmas is Lush's Christmas collection. It's always so festive and gets me in the mood for celebrating Christmas. In this post I will be going through which products have caught my eye this year. I'll admit, it's the colour of this product that drew me to this shower gel. It's so girly and pink, I love it! It's described as being 'candy sweet' and contains seaweed which nourishes your skin. Unfortunately this product is only limited edition, so there's even more of an excuse so go out and purchase a bottle. 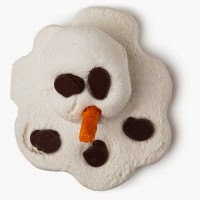 This bath bomb is so cute! It also looks like something you would want to eat, which probably wouldn't be a good idea! Aside from that, I love the ingredients in it, almond oil and cocoa butter which sounds so luxurious. I can't wait to try it! 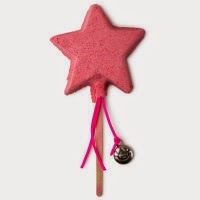 Magic Wand looks amazing! I love the fact that it's re-usable, it works by 'swishing' the wand under the tap whilst running a bath creating a beautiful bubble bath. The scent is based on the shower gel I mentioned previously, Snow Fairy. I'm not going to lie, the main feature of this product that impressed me was the effect this bath bomb has on the water when you drop it in the bath. It turns the colour of the water a mix of reds and greens. 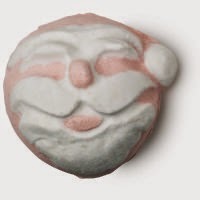 Father Christmas also smells like Snow Fairy as well! 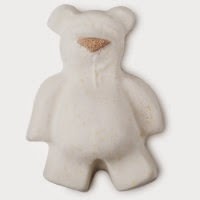 Lastly on my Lush wishlist, is Butterbear. This is another cute looking product from the Christmas range. This smells like Butterball, so if you love it at Christmas, you'll be able to get it during the rest of the year. I love the fact that it smells like vanilla. Vanilla and cocoa smelling bath products are my favourite!